OPI India Collection, China Glaze Eco Collection and Everyday Minerals. I got my OPI India and China Glaze Eco polishes today. They're pretty cool, but I haven't worn any of them yet. Unplugged and Recycle look really awesome, though. I don't want to paint my nails right now. 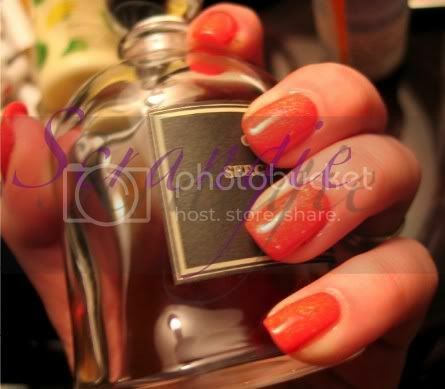 I'm still enjoying yesterday's manicure of Sally Hansen Glossy with OPI Man of La Mancha on top. 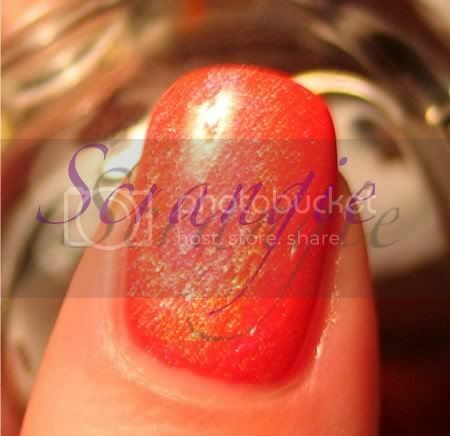 I really love the old formula OPIs, I wish they'd go back. And I'm really getting sick of the ProWide brush that I used to love so much. I also got one of those Beauty Blender things.... I haven't tried that, either. I used mineral makeup today. I'm going to sound like a total heretic here, huge Bare Escentuals fan that I am, but I tried the Everyday Minerals Try Me kit and I think I'm in love. They offer different formulas, which I like. I am wearing the Intensive one, which offers way more coverage than my beloved Bare Minerals, using less product. The color match is nearly spot on. I usually wear Light or Fairly Light in Bare Minerals, but for some reason the last two refills I've purchased have been much darker and pinker. I even have an old jar to compare, and they're definitely different. I am wearing the lightest shade in Everyday Minerals (on the cool spectrum) and it's perfect. Not pink, not orange, not white. I'll have to keep using it to see if it does anything weird to my skin, but so far, so good! I'm trying out this new Cargo Blu-Ray High Definition BS makeup whatever stuff.... I'm not sure why I bought it, but it seemed like a really great idea at the time. Drunken Sephora ordering, FTW! The blush/highlighter is pretty nice. Actually, really nice. It's a neutral pink shade with what appears to be a bit of shimmer. The texture is absurdly soft, so be careful. I tapped my brush onto it and sent a giant cloud of blush dust everywhere. That's how soft it is. The mascara is freaky weird, but effective. The applicator is basically a paddle with a really thin comb on one end. It absolutely will not clump and gives decent length, but I couldn't build much volume with it. I need volume. It's also a little messy to apply because you have to press so hard to deposit mascara from the weird comb onto your lashes, and you get mascara flecks on your eyelid as a result. The glosses seems nice so far. I used the one in the lower left hand corner. Shade is nice, nothing special. The formula is nice and smooth, not the least bit sticky. It has a slight mint flavor and cooling sensation, but nothing dramatic. It's your average gloss, I guess. I didn't try the mattifier because I don't need one and it would probably make my skin look dry. Can't report on that. Maybe next time. 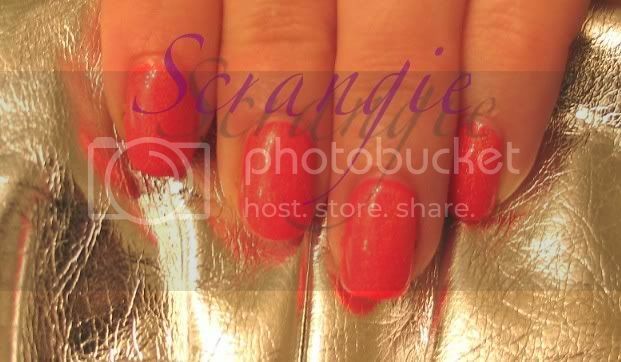 Now I'm off to remove my awesome Amp'd Up manicure to try Chanel Azur over Blue Satin. I hope it turns out cool. Ok, here's some pics. I don't know what I'm doing wrong. It doesn't look neon or holographic and I can't figure it out. It looks cool in real life... Am I using the wrong lighting? Frustrating. Anyway, Color Club Amp'd Up with one coat of China Glaze Wireless Holographic Topcoat (and Seche Vite). Zoya Angelina, Chanel Azur, and random beauty babble. My manicure today is Zoya Angelina. I don't know, I really like this color but I don't get it. In the bottle it's clearly brown. A very dark chocolate brown, like my favorite Valrhona Le Noir Amer 71%... Mmm.... Dark and bitter, it suits me well, no? However, on the nails, it just looks black. It's an interesting effect. It's black, but there's something different about it. It's softer, not as harsh... In the right light you can see that it's actually brown, but otherwise you can't tell. It kinda makes my fingertips look red. Another color I don't get: Chanel Azur. I admit, it was an impulse buy because it looked soooooooooo cool in the bottle, but now I don't know what to do with it. By itself it's not strong enough to make an impression. Sure, it's really cool looking, but you have to be under the right light and looking right at it. I think it would be great for layering, but I don't know what to use with it. I tried it over China Glaze For Audrey and it just made it look blah. I'll try it over Blue Satin, or some other dark blue, Zoya Indigo maybe? It might enhance the sparkle. Hmm. We'll see. Any ideas? This week I've changed my nails every day. Monday was Clarins 230, Tuesday was Zoya Creamy, Wednesday was OPI Pretty at the Premier (blah), Thursday started out as Essie Decadent Diva but then I changed to China Glaze OMG, which was chipped this morning so now I have Zoya Angelina. I think I have manicure ADD. Nothing in the makeup world is really all that interesting right now. I am a little excited for Heatherette for MAC (or other way around?) but I haven't seen any pictures. It's Heatherette, it has to be good. I did acquire some new makeup this week. Lancome Color Fever Gloss Photonic in Rainbow, which didn't really live up to the hype. L.U.C.I. eyes duo in Ray of Amber Light, Juicy Tubes Sparkling Night in Star Shower and Juicy Tubes Julie VerHoeven Pink Muse, none of which I've used yet, so I can't really review. My Black Phoenix Alchemy Lab collection has reached critical mass. I have no place to store it. I need to go box shopping. Without counting duplicates, I have 214 bottles and 310 imp's ears. That's 524 unique scents from Black Phoenix Alchemy Lab alone. I won't stop until I've tried them all! Gotta catch em all!!!! I need some sort of box organization system... I used to keep all my limited editions in one box, lunacies in another, general catalogues in another and all of my imps are alphabetized in ammo boxes and the duplicates are in a huge ziploc bag in my nightstand. Now my nightstand is completely covered in bottles and imps that no longer fit in their designated boxes. I'm afraid I'll knock them over or something. I want to keep them upright, but I want them protected. No shelves. I label the tops of the bottles with stickers, so I don't need to see the labels. A box would be ideal, or multiple boxes to avoid risk of tragedy. I'm going out to the garage to get myself in trouble come up with an idea.